What are you intending to start, that you can begin today? Ka lā hiki ola; it’s the dawning of a new day! It’s been walking for me (as in walking for health and fitness). Early 2010 had brought me some immobilizing back pain. Major ouch and workout killer. Turned out my daily street running had cost me dearly, the pavement impact eroding away my lower spine’s disk cushioning. Healing has been steady but s.l.o.w. and my running days are over, but walking is still good and I’ve finally gotten the green light to ramp up my distance on a daily basis again. That alone was fabulous news, but you know what made it even better? Starting yesterday, on the 28th, and knowing that a whole New Year was mere days away. It is incredibly sweet to work on a new goal EARLY, feeling the goodness of a fresh habit started with enthusiastic rhythm. So what about you? 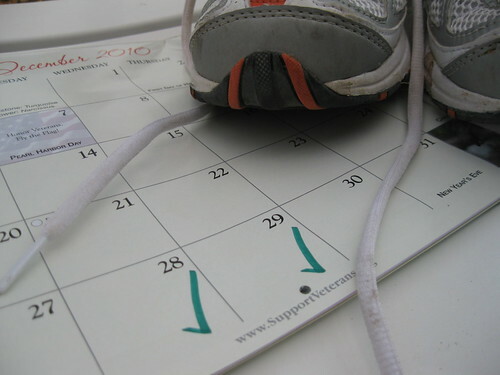 What can you begin for 2011 today? Rosa, as usual, you inspire me to be better. I have woefully neglected your blog for many months as I ramp up my new business in the pet community. But, I can see that I must make time, once again, to read you and your great contributors. As soon as I get my Kindle, your blog is a must-have to subscribe to. Know that I think of you and of Managing with Aloha often. Your unique view on business and management is sure to resonate with the pet bloggers in BlogPaws. I can’t wait to share you with them. Thank you so much Yvonne. MWA continues to give so much back to me because of people like you who have lived it within their own hearts ~ and their Ho‘ohana, as you have done with BlogPaws! This coming February, two momentous life-changing events will happen to me…I will turn 60 and I will become a grandparent for the first time in my life! I am making a list of “60 Things I want to do in 2011” and have begun them already. My life coach recommended I call these goals, “experiences”, so that I don’t feel like I failed at something… I liked her suggestion, so my list for 2011 is “60 experiences I want to have in 2011”. I’m also going to get rid of 60 things in my closet; then 60 things in the house; then 60 things in the garage, etc. I’m 60, I’m tired of STUFF!!! My granddaughter, due in 2-4 weeks, lives 480 miles away from me. I will have to learn to experience LIKING to make that road trip down the middle of California and into traffic from H in both L.A. and then S.D. We’ve now done that 3 times in 3 months w/ another one coming (for her birth) and it is getting OLD…!! Mele Kalikimaka and Happy New Year to (imo) the greatest blogger on earth, Rosa! Hana hou Anne, you go girl! I love the way you are embracing the number 60 as your palena ‘ole abundance for the coming year. Truly fabulous.